Google Thewallinna and other creatures: What the postman brought me! What the postman brought me! Everything was wrapped with so much care! Every item came covered in tissue paper and bubble wrap, all inside a cute little box! 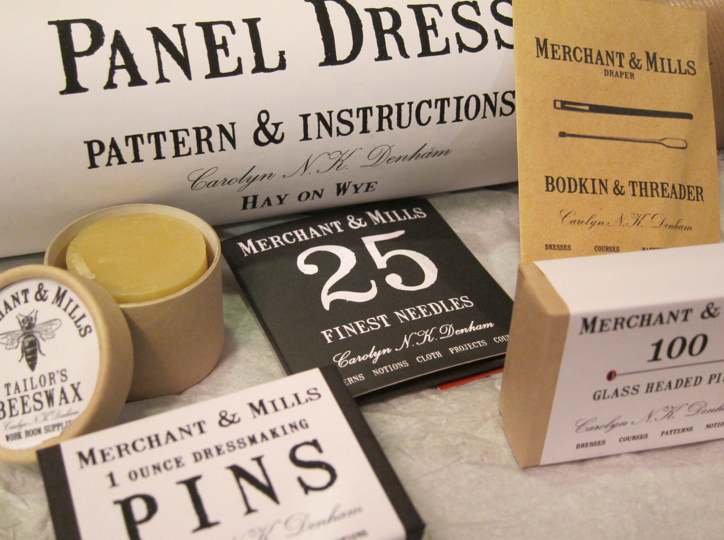 I absolutely love the packaging: vintage-looking and good quality. But the price sort of suggested it. The biggest thing in the package was this pattern of a beautiful panel dress which I've been eyeing for ages! And then lots of pins and needles and some beeswax. I also got a bodkin which can be used instead of my loop turner on some occasions. But then another package arrived! 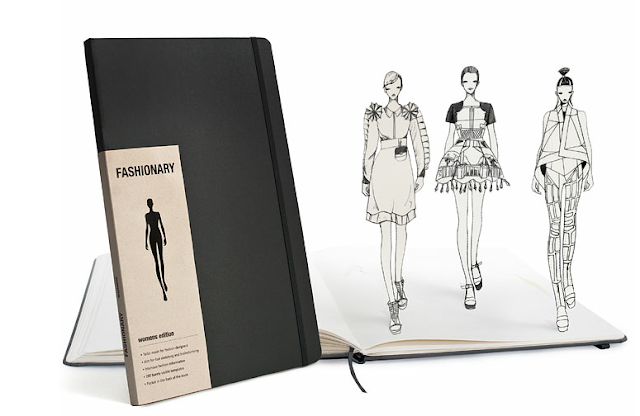 And it contained a sketchbook from Fashionary! Shame on me, I can't draw at all! The best thing I've ever drawn was a picture of imaginary galaxies when I was 5 or 6. Discovering this sketchbook was like a godsend! 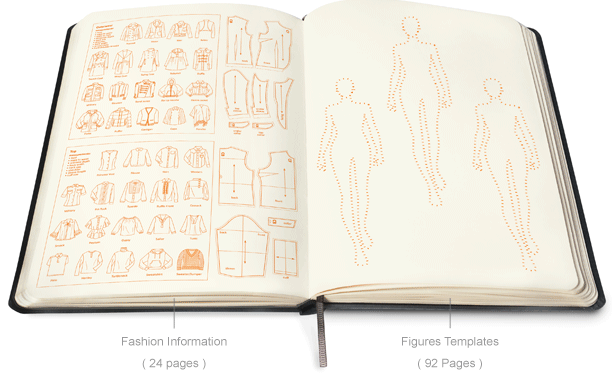 The first pages of the notebook provide lots of useful information: body measurements, patterns and drawings of different types of clothing, fabric dictionary, laundry labels etc. And then many pages with female body templates to play with! I decided that by end of the year I should learn how to draw, but in the fashion business sketching is even more important! As if by chance, this morning I saw this video in the Threads magasine, where an illustrator, Yelen Ayé, shows how to sketch! Seriously, ladies and gentlemen, I feel so enthusiastic to try!!!! I promise to show you the results even if they are hideous. I am wondering, are there other sewing lovers out there who cannot draw? Color me jealous! I've wanted to purchase notions and patterns from Merchant and Mills but have managed to resist thus far. I'd love to hear your opinion on the products after you've tested them out. Enjoy! Oh, Maddie, I am so determined to learn!